He’d been General Electric’s CEO for almost 16 years, and outsiders were unaware of any specific succession plans or that ?Immelt, at age 61, had any intention of stepping down. Suddenly they were told that in just seven weeks he’d be gone as CEO (he remained nonexecutive board chairman an additional two months), to be succeeded by John Flannery, head of GE’s health care business and a 30-year employee. Investors didn’t need long to decide this was good news. The market was flat that day, but they bid GE stock up 4%. Retirees and employees who bought heavily into the stock are furious; some picketed GE’s annual meeting in April. Former executives are dumbfounded. “It’s unfathomable,” says one. “You couldn’t possibly dream this up. It’s crazy.” After all, this is GE, a corporate aristocrat, an original Dow component, the world’s most celebrated management academy, now revealed as a financial quagmire with a deeply uncertain future. Its bonds, rated triple-A when Immelt became chief, are now rated five tiers lower at A2 and trade at prices more consistent with a Baa rating, one notch above junk. In response to this debacle, GE has repudiated its previous leadership with a zeal unprecedented in a company of its size and stature. Gone in the past 10 months are the CEO, the CFO (who was also a vice chair), two of the three other vice chairs, the head of the largest business, various other executives—and half the board of directors. The radical board shake-up “could be one of the most seminal events in the history of U.S. corporate governance,” says a longtime vendor and close student of GE. Inescapable conclusion: This place is an unholy mess. Flannery has even voiced the unthinkable, that GE might be more valuable in pieces. “The pressure on GE to announce some sort of breakup is very high,” says Davis of Melius Research. Whatever happens, Flannery has a good shot at becoming famous—as the guy who saved GE or the guy who broke it up. Immelt often notes that his CEO tenure got off to a rough start; it began just four days before 9/11. Airplanes, one of them powered by GE engines, crashed into the World Trade Center towers, insured by GE Capital. Air travel demand contracted violently, hobbling GE’s business as the world’s largest lessor of planes. In his first week as chief, at age 45, he faced a once-in-a-lifetime crisis. In the following months, as countries and companies obsessed over security, Immelt saw an opportunity. GE bought Ion Track, a company with advanced explosive-detection technology, for an undisclosed price. Some 18 months later he bought another explosive-detection company, ?InVision, for $900 million. But in 2009 he sold a large majority interest in the two firms, packaged as GE Homeland Security, in a deal that valued the unit at just $760 million. His security bet was a bust. It was the beginning of a pattern, which many analysts and observers say is an important element in GE’s current misery. Immelt followed fads, they say, paying top dollar to acquire the hot businesses of the moment. Another example: In 2004, with U.S. home prices rocketing, GE paid $500 million for a subprime mortgage company called WMC. 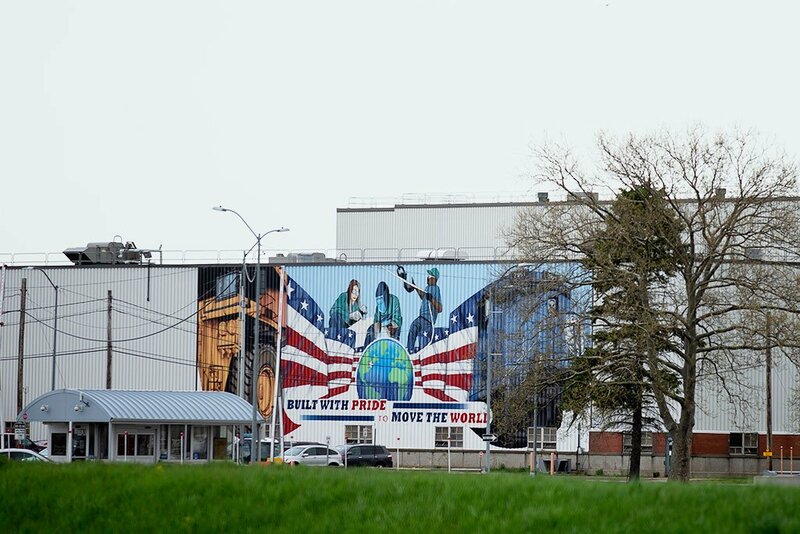 In 2007, with home prices falling, GE laid off most WMC employees and sold the company, which lost $1 billion that year. This past February, GE announced that the Justice Department “is likely to assert” violations of law at WMC when GE owned it, and GE reserved $1.5 billion against a possible penalty. By no means were all of Immelt’s deals losers. What’s most striking about his acquisitions and divestitures is their staggering quantity. He did hundreds of deals and claims with apparent pride to be the only CEO who has ever bought and sold over $100 billion of businesses. Among those deals were some big winners. GE bought Enron’s wind turbine manufacturing assets for $358 million in a bankruptcy auction, creating the foundation of a business (augmented with several later acquisitions) that brought in $10.3 billion of revenue last year. In his largest industrial divestiture, Immelt sold GE’s plastics business to Saudi Basic Industries for $11.6 billion just before the financial crisis; the price was more than analysts expected, and the deal was widely regarded as excellent for GE. On the whole, though, Immelt’s shopping skills were not stellar, and it was part of a larger problem. Ask Wall Street analysts, customers, vendors, competitors, former executives, and former directors to explain how GE ended up where it is, and their first words are the same: “capital allocation.” That’s a crucial job for any CEO, nowhere more so than at GE, with its ever-shifting portfolio of businesses. The near-universal consensus outside the company is that Immelt was bad at it. While Immelt’s biggest industrial divestiture, plastics, may have been his best deal, his biggest acquisition looks like his worst—and it’s still dragging the company down. That was his 2015 acquisition of Alstom, a big French competitor of GE’s largest business, GE Power, which makes and services the huge turbines that utilities use to generate electricity. At a price of $10.6 billion, this was GE’s most expensive industrial acquisition ever. An Immelt spokesman notes that the board reviewed the deal eight times and approved it. The problems were many. 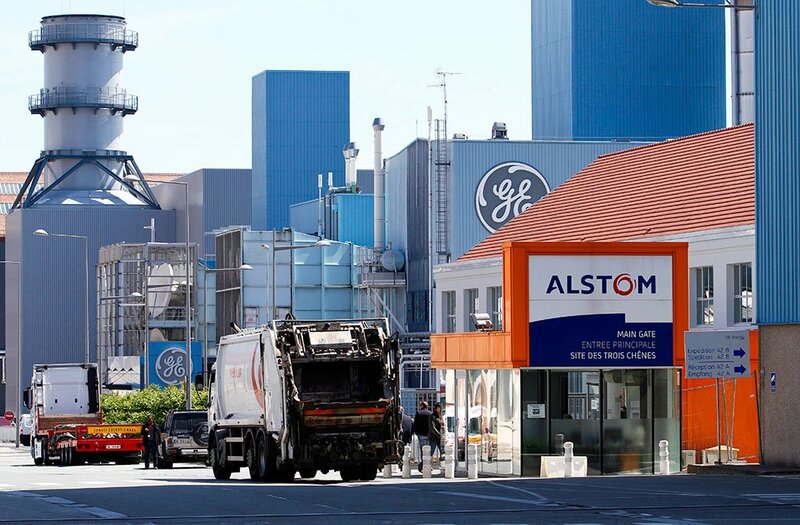 Alstom’s profit margins were low, but GE figured it could raise them. GE’s strategy relied heavily on selling services, but regulators made the company divest Alstom’s service business. The acquisition added more than 30,000 high-cost employees, many in Europe, but GE figured they’d more than pay for themselves. Worst of all, the purchase was spectacularly mistimed. GE doubled down on fossil-fuel-fired turbines just as renewables were becoming cost competitive. Result: Global demand for GE Power’s products collapsed, while GE had bet heavily the other way. GE Power’s profit plunged 45%. 然而，阿尔斯通并非是伊梅尔特在资本配?#26757;?#38754;所犯的最大的错误，而且阿尔斯通与之相?#28982;乖对?#19981;及。这一事件发生在数年前，而且逐渐升级，当时，他在金融危机之前大幅提升了GE Capital的负债规模。一个广为流行的说法是，他的前任杰克·韦尔奇将GE Capital扩大到了一个不可?#20013;?#30340;水平，迫使伊梅尔特将其缩减至合理的规模，但数字却指向了相反的方向。GE Capital在韦尔奇最后10年的任期中所?#27605;?#30340;利润从未超过GE总利润的41%，而伊梅尔特则通过让GE Capital背负2500亿美元的额外债务，扩张了其业务规模，直到2007年，GE Capital 2007年在GE利润中的占?#21364;?#21040;了55%。他还?#24066;鞧E Capital承担更多的风险，最明显的举措就是让该公司直接在商业地产市场进行权益投资。?#21496;?#19968;开始倒是赚了不少钱，但是在金融危机爆发之后，GE Capital的利润蒸发殆尽。伊梅尔特自大萧条以来首次削减了GE的?#19978;ⅲ?#32780;且被迫立即向?#33268;住ぐ头?#29305;求援30亿美元。GE Capital自此之后便一蹶不振。当伊梅尔特2015年宣?#25216;?#21010;解散GE Capital时，投资者无不为之欢呼雀?#23613;? Yet Alstom was not Immelt’s worst capital-allocation blunder, nor even close. That occurred years earlier, in increments, as he bulked up GE Capital before the financial crisis. A popular story line holds that his predecessor, Jack Welch, enlarged GE Capital unsustainably, forcing Immelt to deflate it back to sane dimensions. But the numbers show the opposite. GE Capital never accounted for more than 41% of GE profits during Welch’s last decade, while Immelt expanded the business by adding over $250 billion of debt to it, until it accounted for 55% of GE’s profit in 2007. He also allowed it to take greater risks, notably by making direct equity investments in commercial real estate. That worked great until the crisis, when most of GE Capital’s profit evaporated. Immelt cut GE’s dividend for the first time since the Great Depression and had to ask Warren Buffett for $3 billion right away. GE Capital never recovered, and when Immelt announced plans to dismantle it in 2015, investors cheered. He mishandled capital in other ways too. He spent $93 billion buying back stock, which isn’t necessarily a bad idea, but he had an unfortunate knack for buying at high prices. GE spent only $7 billion of that $93 billion from 2008 through 2011, when the stock price was mostly in the teens; the company spent almost $80 billion buying back shares at prices over $30. Immelt also maintained the dividend even when GE’s operations weren’t furnishing enough cash, forcing him to borrow money and send it directly to shareholders. An Immelt spokesman says, “Jeff cut the dividend once. He did not want to do it twice.” Flannery admits, “We’ve been paying a dividend in excess of our free cash flow for a number of years now.” Days after Immelt left, Flannery and the board cut the dividend by half. Inept capital allocation can be documented with hard data. Management of human capital and culture is much squishier but at least as important. It too was a contributor to GE’s collapse. Jeff Immelt is a big, affable, charming man. People tend to like him. He grew up in Cincinnati, where his father was a manager in GE’s aircraft engine business, though Jeff says that fact didn’t influence his decision to work at GE. Dartmouth recruited him as a football player in the nonglamorous position of offensive tackle, and he thought he might one day play professionally. Schoolmates saw him as a leader; he was president of his fraternity, and one of his fraternity brothers, former Vanguard CEO Bill McNabb, says no one was surprised when Immelt became GE’s chief. After college he returned to Cincinnati for a job in Procter & Gamble’s famous brand management program. Seated next to him was future Microsoft CEO Steve Ballmer; they worked on Duncan Hines cake mix, and Immelt often recalls with a laugh that they were “horrible employees.” They must not have been too bad. 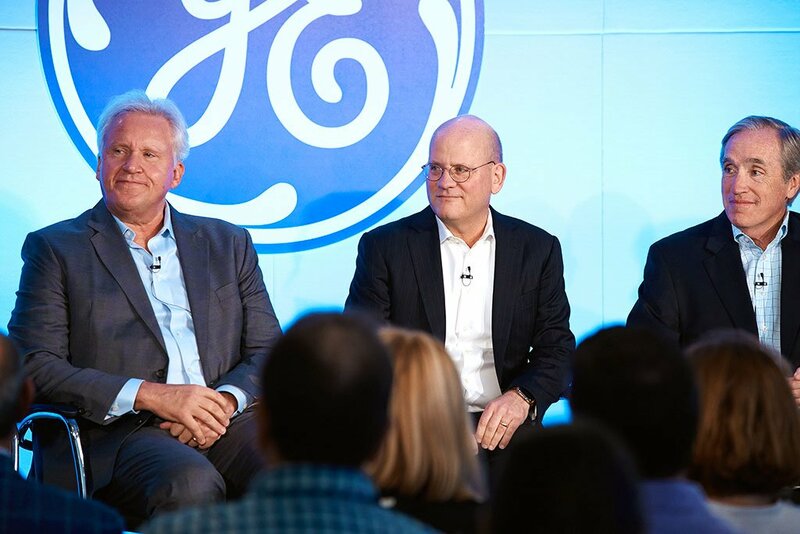 A couple of years later, Immelt went to Harvard Business School and then to GE, where he started as an internal marketing consultant at headquarters. When he became CEO, he faced the task that confronts every new GE boss: remaking the company. By tradition, the former chief executive leaves the board and leaves the building, giving the new captain free rein to set GE’s direction. Immelt’s changes included two that urgently needed doing. He immediately started making GE more global. Surprisingly for such a big, famous company, it was still doing 60% of its business in the U.S. By the time Immelt left, GE was operating in 180 countries and getting 61% of its revenue from outside the U.S.; annual revenue from emerging markets expanded from $10 billion to $45 billion. Some analysts complain that in certain markets, especially China, much of that new business was bought at too high a price. But the locus of global economic growth was moving, and GE needed to follow it. 2017 Company Profile: General Electric. Many of these changes happened in the aftermath of the financial crisis, and investors mostly liked what they saw. GE stock tracked the S&P 500’s steady march upward. When GE fell behind in 2015, Immelt confidently predicted the company would earn $2 a share in 2018, a big increase. Activist investor Nelson Peltz’s Trian Fund bought a $2.5 billion stake. Peltz is well known for holding leaders of his portfolio companies accountable, and Immelt was on the hook to deliver $2 a share in 2018. The stock resumed its rise. But the lug nuts were loosening. Late in 2016, the world began to notice. What it noticed first was cash. GE was spending far more than it was generating. The company could pay its bills, but its cushion was getting thin, and heavy cash requirements loomed, such as restocking a pension fund that was underfunded by billions. From 2015 through 2017, GE generated about $30 billion from free cash flow and asset sales, but it spent about $75 billion on stock buybacks, dividends, and acquisitions. As economist Herb Stein famously observed, if something can’t go on forever, it will stop. GE was headed for a brick wall. The next thing the world noticed was the magnitude of the trouble unfolding at GE Power. As recently as late May of 2017, Immelt was telling Wall Street the operating profit outlook for GE Power was “++,” meaning very positive. Just two months later, GE reported that Power’s quarterly profit was down, orders were down, and the outlook wasn’t good. As the year progressed, it got worse. The cascade of grim news accelerated. After GE halved the dividend in November, it announced in December that 12,000 GE Power employees would be axed. In January it wrote off $6.2 billion in connection with a long-term-care insurance business in GE Capital and said that business would require another $15 billion of write-offs over the next seven years. The charge was so big and unexpected that the SEC opened an investigation, still unresolved. Then, in February, GE revealed the Justice Department investigation into WMC Mortgage and in April announced its $1.5 billion reserve. In May it said it might put WMC into bankruptcy. That answers our first question, What happened? The answer to the second—What’s next?—depends on the various pieces into which GE is disassembled. Its lighting and train-related businesses plus some smaller units are publicly for sale. 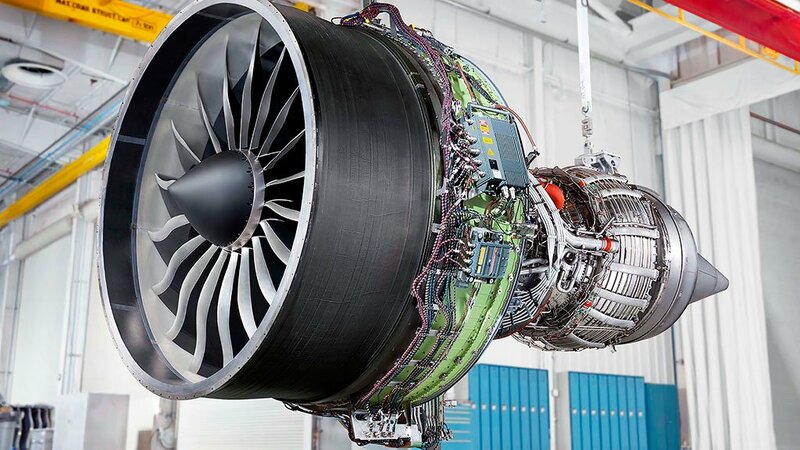 If that’s as far as it goes, a still recognizable GE would remain, comprising the power, aviation, and health care businesses. Rehabbing that troika into a thriving company would be a multiyear effort because of GE Power’s decline; the health care and aviation units are doing well. But some investors, especially Trian, might not want to wait so long. Trian’s Ed Garden joined the GE board in October, and Trian is well known for often urging the breakup of its portfolio companies. In January Flannery explicitly raised the option of a breakup and has said nothing to dampen speculation. If even one of the three main businesses were to be separated from the others, GE as we know it would end. An entity by that name would surely persist, but its meaning would be lost. The analog would be ITT, once an imposing global conglomerate, now an assortment of diminished pieces on their own journeys of merging and subdividing. Most in danger of extinction is GE’s reputation as a superbly managed company. Unlike most marks of character, this one has a start date: April 24, 1900, when the Wall Street Journal declared, “General Electric is entitled now to take rank as one of the?…?best managed industrial companies known to investors.” That reputation survived economic ups and downs until sometime in the past decade. It’s now on life support. Whether its storied corporate brand can be revived has become the largest question about GE. The company faces no crisis of survival. Its main businesses will likely carry on in some form. The tension surrounding the company is of a higher nature, befitting GE. It’s whether this extraordinary company will regain its lost luster or descend, at last, to mediocrity.